The White House is rolling out an initiative — led by top aide and President Trump’s daughter, Ivanka Trump — to expand women’s participation in the economy across the globe. The Women’s Global Development and Prosperity Initiative aims to boost women’s economic output in developing countries by $12 trillion by 2025, and President Trump has directed the U.S. Agency for International Development to allocate $50 million for a new fund, according to an op-ed Ivanka Trump wrote in the Wall Street Journal. The president signed a memo to launch the initiative Thursday afternoon. “Our goal is to empower women to allow their home countries to become self reliant,” the president said in the Oval Office, before turning things over to his daughter. “This is the first U.S. government, all of government, approach to empowering women,” Ivanka Trump said. The initiative will involve the State Department, the National Security Council and other agencies, coordinating current programs and developing new ones to assist women in areas such as job training, financial support, and legal or regulatory reforms. 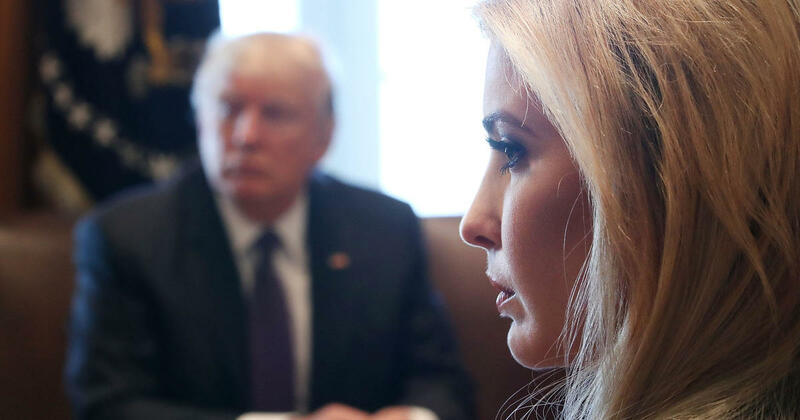 The elder Trump daughter has prioritized women’s economic issues, from paid family leave to aiding women in other countries, in her two years at the White House. But she has also come under scrutiny for her own business ventures while in the White House. Her brands recently received 16 trademarks while the U.S. continues to negotiate with China.